The Tch Merlot storage bed frame looks fantastic and offers a stunning solidly built bed frame available in double and king size with 2 under bed drawers and a range of matching furniture if required. The Merton storage bed has a montana lacquered finish and is delivered flat packed in 3 boxes but with the drawers fully assembled. 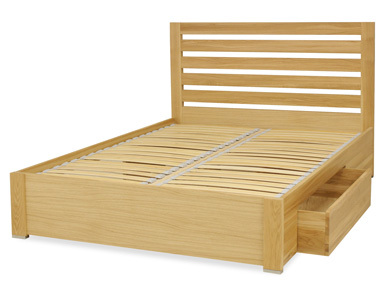 It is made from solid oak with oak veneers and offers great value for money.